Generally speaking, our closest living relatives Chimpanzees, who are 99% genetically alike humans, and whose digestive and immune systems are nearly identical, consume approximately 5% seeds with the majority of those coming from fruits as they eat the entire fruit. Chimps in the wild, eating their natural diet never become overweight or obese, and most importantly are not littered with Heart Attacks, Cancers, Strokes, Diabetes, Alzhiemers and all the hundreds of other illnesses and diseases affecting humans today. Seeds are an incredible source of antioxidants and are naturally gluten free! They are nature’s little pro-health powerhouses! 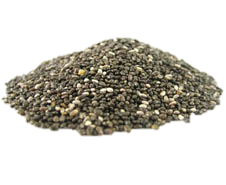 Chia Seeds are high in iron, folate, calcium, magnesium, omega-3 fatty acids and soluble fiber. The calcium and magnesium promote bone and dental health, while the omega-3s help your heart by lowering the bad fats in your blood that can cause coronary artery disease. The soluble fiber helps decrease cholesterol, stabilizes blood sugar levels and helps you feel fuller longer. Flax Seeds are a great source of soluble fiber, help lower cholesterol, make you feel fuller longer and aid in stabilizing blood sugar levels. Flax seeds are also packed with omega-3 fatty acids, so they’re beneficial to eye and brain health, and can help lower triglycerides in the blood. Flaxseeds are also high in lignans which studies have shown that lignans may help prevent certain cancers. Hemp Seeds promote healthy hair and skin growth thanks to their omega-3 and 6 fatty acid content. Omega-3s also reduce inflammation and boost brain and cardiovascular health. Plus, hemp seeds contain phytosterols, plant-based compounds that help lower cholesterol levels. 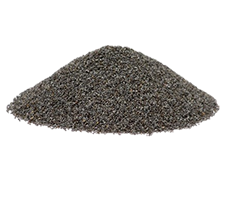 Poppy Seeds have a natural supply of alkaloids which is extremely beneficial for treating nervous disorders and curing insomnia. Poppy seed oil contains oleic acid which inhibits the activity levels of the gene, known for triggering breast cancer. They have a rich source of omega-3 fatty acids and carbohydrates which help in boosting the immune system and energy levels in the body. The high amount of dietary fiber is useful for lowering cholesterol levels, regulating insulin and blood glucose concentrations, and promoting gastrointestinal health. Pumpkin Seeds are a tasty source of B vitamins, iron, magnesium, zinc and protein. The protein in pumpkin seeds is highly concentrated in an amino acid called Tryptophan, which helps lower anxiety levels. Pumpkin seeds also have high levels of essential fatty acids that help keep our blood vessels healthy and lower bad cholesterol. 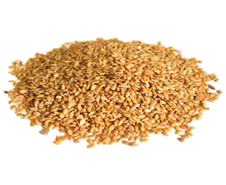 Sesame Seeds are a powerhouse of minerals, especially calcium, and is an alkaline food that supports bone and general health. They are full of magnesium, copper, vitamin B1, zinc and dietary fiber. 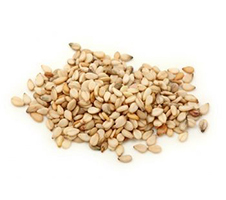 Sesame seeds are also rich in zinc which has a positive effect on bone mineral density. Copper, better known for its anti-inflammatory ability shown to reduce some of the pain and swelling of rheumatoid arthritis, is also a supporter of bone and blood vessel health. While calcium is vital to bone health, it also can help with migraines and provide relief for PMS. 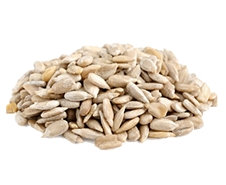 Sunflower Seeds are an excellent source of B vitamins including folate, which helps to support healthy pregnancy and promotes a healthy immune system. They’re also an excellent source of Vitamin E – an antioxidant that protects your cells from damage, helps maintain healthy hair and skin, and may help to prevent cancer. 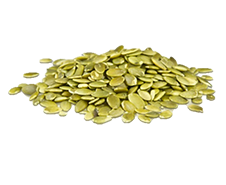 These seeds are also rich in protein and heart-healthy fats.